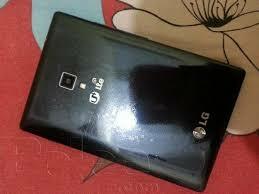 Hi everyone, on this post, I will be showing how to Hard rest Lg F200L the easy way. A few weeks ago I was searching through google to see if I could get the hard reset combination but the resource was very limited so I finally get a way around it. You will need to access the download mode or service mode on the Lg F200L. To access the service mode combines the following key Vol + and Vol - Home Key, now insert the USB cable. You have to have adb setup on your computer or user and adb you know of. You will need to input the following command in the adb shell.